On Dec 2, 2018, 'Move Humanity,' a global campaign on closing SDG financing gap was launched worldwide. 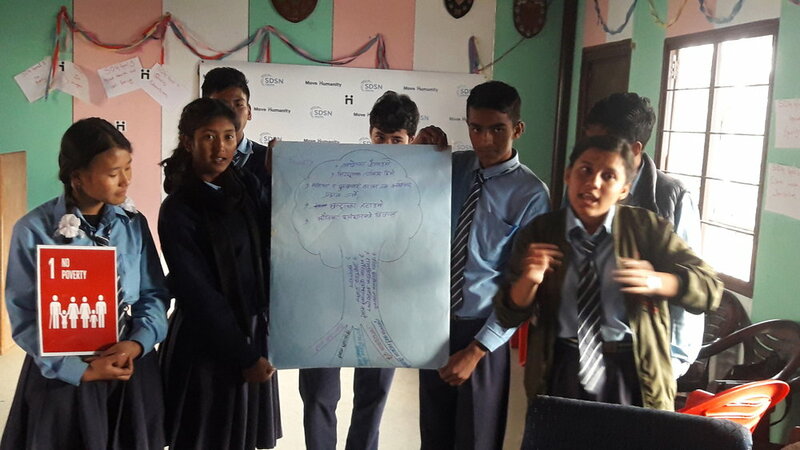 As Nepal being a South Asian country and also one of the network of UN SDSN Youth, the event on Move Humanity was launched officially at one of the Public School of Nepal named as Gorakhnath Secondary School located at Kirtipur, Nepal. The major focus of this event here was on 'Localization of SDGs' since, most of the students are unaware of Sustainable Development and their importance in their daily life. This event with the kind support of various SDSN Youth leaders, Philanthropist across the world and with the facilitation of local Youth Volunteers helped in installing a base foundation of Knowledge and exercises on Sustainable Development. Considering the necessity and impact, this event was coordinated and officially launched here by the SDG Coordinator at SDSN Youth, Ajit Bhatta. The stakeholders from various youth organizations gave their valuable inputs to standardize the level of the event. Most importantly, a generosity from the various philanthropist in financing this event globally has significant contribution in constructing the base of Sustainable Development and their exercises in most of the SDSN networks. For those students who heard about Sustainable Development and for those who were unaware about it, this event was uniformly surprising for each of them. The very surprising and proud tenderness was constituted among the students since this event was happening at many parts of the world at same date and on the top of that Gorakhnath School was only the place in Nepal where this event was launched. Learning how the younger generation over the globe are practitioning SDGs and incorporating them into their daily lives released an insight to the youth students that made them ardent to the in-depth concept of SDGs. The gap between what we learn as a theory and what we practice in the life crafted an irony among the students. Move Humanity Event introduced a mechanism on how youth can empower youth in a unique way. If an obligation of one youth is not oriented towards supporting another youth, the concept of Moving humanity is always biased. This generalizes that Youth students are always in need of proper instruction and institutionalization, and only a fellow youth can fulfill this gap. The event drafted a concise vision on the youth students who really felt the need of their presence in saving themselves, saving their family and saving the entire planet from all the global threats. A only vision that entertained them from the whole event was ‘Theory of Change’. The long term goal, an immediate action and self evaluation of the individual action were the major codes that were designed from the event. The question is how sustainable are they themselves when it comes to applying these paradigms into their livings. The interesting fact that was discovered from the Move Humanity Event was the potential of the students, the learning we received from them and the platform they received from us. Perhaps it was more like an exchange of treasures. When I visited couple of students after a month from the date of the event, I was astonished hearing that there has been a snowball effect of the event. The whole SDGs related ideas and practices have been circulated among other grade students and also among the families of most of the students. The practices of Sustainable activities has been sustained which demonstrated that we are not potentially behind in achieving global goals by 2030 but it needs lot more exercises and outreach. The fact that it was euphoric was knowing how we actually can work in closing the SDGs implementation gap even through the contribution of minor portion of the income of Top richest. It’s not that we have demanded but it’s how their generosity has reinstalled the hope of bottom billions, a hope that has reincarnated the lives of vulnerable with a divinity, a hope that has promised in leaving no one behind. Ajit Bhatta is a SDG Coordinator based at Kathmandu University, Nepal. He is also a regional officer at Reinstalling Hope. 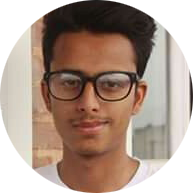 He is currently doing Masters in Development Studies at Kathmandu University, and a Social Work Graduate from Tribhuvan University. He previously volunteered at United Nations Youth and Students Associations of Nepal, and was a Country Delegate at International Religious Youth Service Project and International Youth Summit.